Columbia Helicopters has selected SKYTRAC Flight Data Monitoring to improve real time awareness on their Chinook 234 missions. The SKYTRAC solution features real-time analysis of engine exceedances and operational deviations. The system also uses SKYTRAC’s Satellite Data Download feature to offload full flight logs on landing. Columbia will benefit from fast and reliable access to critical information while minimizing FDM data retrieval effort and speeding analysis times. A cockpit camera assembly adds additional FDM analysis capabilities with the option for recording flight deck console activity. SKYTRAC also supports Columbia Helicopters with real-time voice and text, automated flight following services and cockpit WiFi. “SKYTRAC has delivered a true one-stop solution to Columbia with real-time FDM services, comprehensive flight data analysis, and flight following, voice and text solutions. All this is offered through a single, lightweight data acquisition unit to deliver the optimal performance at optimal cost,” said SKYTRAC vice president of sales Jan van der Heul. “We are excited to work with SKYTRAC on our HFDM program. SKYTRAC’s real-time processing and data offloading capabilities provide us with faster, easier access to critical flight data. 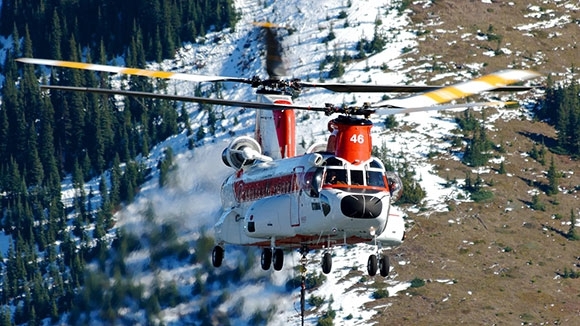 SKYTRAC HFDM will help us in our mission to deliver safe, world-class heavy-lift helicopter services,” said Columbia Helicopters director of operations quality Christian Boatsman.